When you are looking for a trustworthy and really reliable man and van company in North West London, you cannot do any better than Beuser Group. We have been the leading provider of high quality, competitively rated professional moving services in the area for years now, and we have our customers’ satisfaction manifested by outstanding reviews to show for our reputation and efficiency. 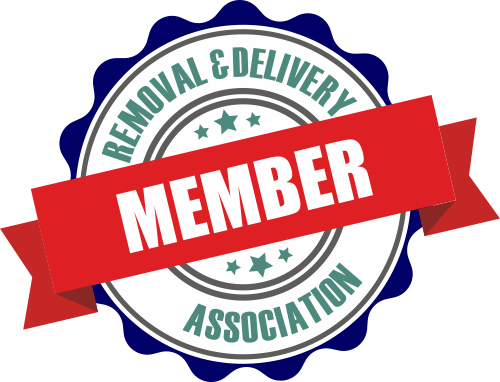 We have the equipment and training to deliver the right service, and prove to even the biggest sceptic that we are the best licensed movers in London today. When you sign up for our exceptional North West London man and van service you can count on full assistance with every part of the process of moving – from packing and end of lease sanitation, to arranging storage and handling the actual relocation. We guarantee nothing short of the most caring treatment possible, and we will not let you down. Call us today for booking and a free quote, and leave the rest to Beuser Group. The term North West London comes to designate those territories of the English capital that are to be found to the north west of the centre of the city. Most of the boroughs and districts here are in the London NW postcode area, which is a successor of the NW sector – created in 1856. The year mentioned more or less can give you the impression about the time at which the urban expansion of the capital reached the territories of the modern day North West London. The boroughs that are generally considered to be part of North West London are as follows: Barnet and Brent, parts of Camden, Islington, Hammersmith and Fulham, Harrow, parts of Kensington and Chelsea. As you can see the term encompasses some of the most fashionable areas of the capital at the present moment. North West London is some to several major attractions. For example, located here is the world famous Wembley Stadium – home to the English national football team. Right next to the stadium is Wembley arena, one of the largest indoor arenas in the country. 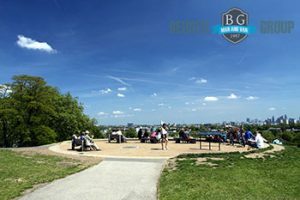 Even though it is generally considered that Central London is the place where it is most expensive to live, in reality North West London contains several pretty affluent areas as well. The best example is to be found in the borough of Harrow, and more precisely in the area around Harrow Hill, where property prices may reach a million and a half pounds average. Harrow School is often quotes as a reason. Our movers and packers are trained, carefully vetted individuals who are ready to assist you with any kind of work you might need their expertise for. Every single member of our team is trained, capable and comes with high levels of energy and motivation to learn and exceed at what they do. Naturally, all our teams are CMR certified and insured. 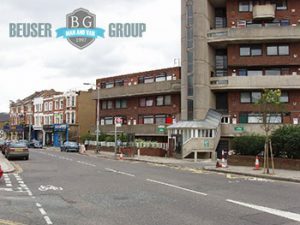 Hiring a man and van in North West London from Beuser Group is a guarantee that your moving project is going to be completed on time and without any complications. Our clients all praise the efficiency of the services delivered and the professionalism demonstrated by our technicians on all levels. We have a very personal attitude towards all projects we have every been hired to take care of – from the initial viewing to the moment when the last box is unloaded and unpacked, we are going to proceed in accordance to a special plan that we will tailor in order to fit your personal requirements and needs. Hire Beuser Group’s perfect man and van experts in North West London today and get the full treatment. We offer you unparalleled comfort and peace of mind on your moving day – and basically make your life better – that are the plain facts. One thing is certain – Brent is one of the finest places to live and work in North West London. The borough is one of the smaller ones in Greater London today. It benefits from its relative closeness to the Inner-city districts, as well as from good administration and environment. Some of the finest open green spaces in the capital today are here – Roe Green Park, Queen’s Park, and others.